Manila, Philippines. 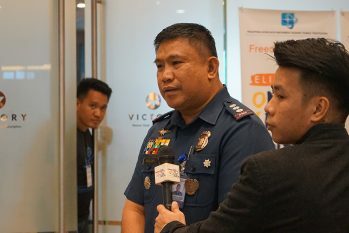 Online Exploitation of Children (OSEC) is a growing threat in the Philippines. As the world becomes more connected over the web, there are those who use the internet as a medium to force children to do unspeakable acts in front of cameras. Over 70% of Filipino OSEC victims are forced into this industry by family or neighbors, and these children are \robbed of their childhood and dignity. However, Filipino churches have united in the fight to end OSEC. On November 8, Philippine Interfaith Movement Against Human Trafficking (PIMAHT) hosted a national forum with partner organizations including Nazarene Compassionate Ministries. 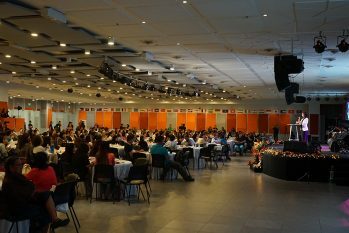 Every few years, delegates from these organizations gather to address issues in human trafficking in what is being called “Freedom Forum,” the Philippine justice system, and their responsibilities as the Body of Christ. This forum had 400 participants. 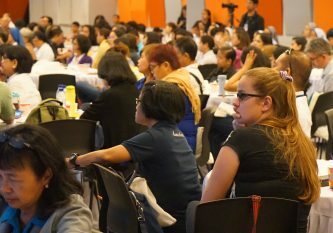 The speakers included the National Director of the Philippine Council of Evangelical Churches (PCEC), the Chief of the Philippine National Police’s Women and Children Protection Center, the Director of Communications, Advocacy and Partnerships International Justice Mission (IJM) Philippines and several survivors. Speaker after speaker, story after story, attendees were made aware of the challenges and the rewards that come with eliminating OSEC. After the speaking, workshops were held for the delegates on how to be aware of, stop, and prevent OSEC. Several booths sold crafts, resources, and materials to raise money for local ministries that are currently fighting to end OSEC. OSEC elimination and victim restoration can only be accomplished through 1) effective law enforcement, 2) effective prosecution of criminals, and 3) effective aftercare for victims. The Church of the Nazarene received special recognition in the fight to end OSEC by providing effective aftercare through the newly opened Shechem Children’s Home for OSEC victims. However, the glue that ties the three components together is a supportive environment. The forum emphasized that this supporting environment is every person’s job. The Body of Christ can no longer turn a blind eye to these OSEC stories. The Body of Christ is part of these OSEC stories, and it is time to end them.